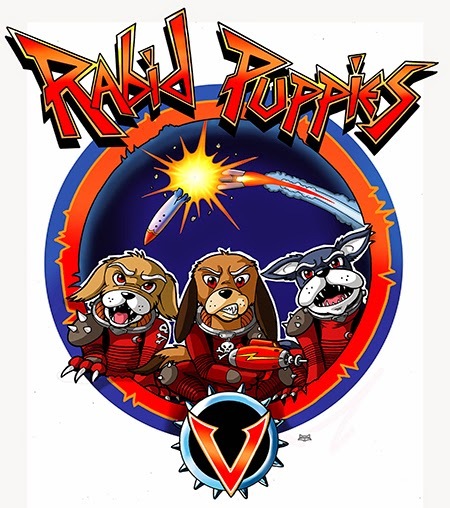 When I first wrote that the Puppy campaigns would sweep the Hugo Awards, I predicted a backlash. So I'm absolutely not surprised that, after said backlash, both Larry Correia and Brad Torgersen are distancing themselves from Vox Day's Rabid Puppies campaign and his threat to destroy the Hugo Awards. What's interesting about Larry and Brad walking away from Vox Day is that without him it's likely the Puppy campaign would have failed. Nathaniel Givens has done a great job analyzing the Puppy numbers. The Venn Diagram at right is based on Givens' analysis and shows where each of the 20 Hugo finalists in the novel, novella, novelette, and short story categories came from (prior to stories being disqualified or removed by their authors). As Givens said, "If you want to know where the finalists come from, it looks like Rabid Puppies can’t possibly be ignored. For someone like me who really supported the moderate, inclusive aims of Sad Puppies 3, this is a sobering realization." Because of the evidence that Rabid Puppies actually won the Hugo nomination process, and because of the anger over what VD has previously said and done, Larry Correia is now saying "I'm not Vox Day." Brad Torgersen is also now insisting that Sad Puppies are not Rabid Puppies. And for what that's worth, they're speaking the truth. They are not Vox Day. But what they're not talking about is their relationship with Vox Day. There's an old strategy at play here, one used to force people to do or give you what you want. Sometimes called good cop/bad cop, it involves one person appearing to be reasonable while the other person makes the threats — even though both people are seeking the same or similar outcomes. Basically, you let someone else be the heavy. You let that person threaten to destroy everything others love unless you get your way. That way you don't have your fingerprints all over the nasty nasty bad stuff. Chainsawsuit by Kris Straub has a great comic summarizing how this strategy works. I don't need Larry and Brad or anyone else to say they're not Vox Day. I know that. Everyone knows VD is responsible for his own actions and statements. But what many people suspect is that Larry and Brad worked with VD on all this. And based on the evidence, it's difficult to draw any other conclusion. For example, Brad ran this year's Sad Puppies campaign and posted their voting slate on February 1. I can't tell you the exact time he posted the slate, but the first comment on the post appeared at 8:40 pm, followed quickly by many more. Vox Day posted his Rabid Puppies ballot on February 2nd. Again, I don't know the exact time but the comments began coming in a little after 1 am. Depending on the time zone settings of these two sites, that means as little as a few hours separated the posting of the Sad and Rabid Puppies slates. But hey, let's be generous and say an entire day separated the launch of their "separate" campaigns. If there was no coordination between the two campaigns that means in less than a day VD read all the stories on the Sad Puppies slate, decided which to discard and which to add to his own slate, and launched his campaign. If it's possible to do all that in such a short time frame without coordinating the two campaigns, I'd love to hear how it was done. Again, no one believes Larry and Brad are VD. But when people look at all this they see only one campaign, or two campaigns which appear to have worked together. Until Brad and Larry address this issue, no one will believe that VD didn't work together with them on the Puppy campaigns. And because of that, it's not unreasonable for people to lump both these two campaigns into the same pile of crap. Note: Post updated to include new Venn Diagram. Thanks to everyone who pointed out the issue with the original diagram.